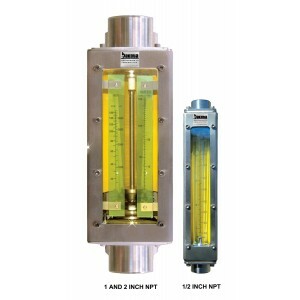 Encased in a brushed stainless steel case, meters designed for high flow measurements of gases and liquids are ideal for industrial applications. Units are equipped with thick polycarbonate safety shields and direct reading metric and English system scales. FNPT end fittings allow easy in-line installation.